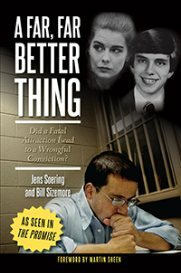 Buckingham Co., Va. - Convicted killer Jens Soering is clinging to new hope despite the fact that he was just denied parole for the seventh time. Soering says he had higher hopes this time in light of new evidence that had come out, and a statement from Governor McDonnell to Soering's attorney that stated he felt Soering was rehabilitated. He continues to insist he's innocent, and now there's a new twist to his case-- a page right out of the Fugitive. Soering says he's tracking a new lead. "This morning I put in a money order request to Gail Ball to finance hiring a private investigator-- this person, obviously I can't name names here, but let's call him Stan," Soering said. You may remember the revelation in March-- a deposition from Amherst County auto shop owner Tony Buchanan stating he had seen Elizabeth Haysom some time after her parents were murdered, with a man that was not Jens Soering, in a car, with blood stained floor mats and a knife with dried blood on it. 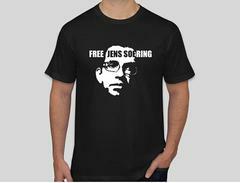 Now Soering says they have a name to put with that man. "I know there's somebody out there that has been living a nice life for 25 years and I know at least I have a name, it's something that gives me a small measure of peace and I'm ready to do my level best, to try to catch up with this individual or not be but this investigator I'm hiring," Soering said. Soering previously withdrew his initial confession and says Elizabeth Haysom killed her parents with the help of someone else. But he says he hopes "Stan" is not the killer. "I'm hoping it's not actually the one because if it is then he's not going to spill the beans, but if it is someone who knows something and can help me, help my lawyer develop this next step.. but first we have to find him," said Soering. Soering isn't sure what will happen once they do find him or if he does have information to help his case. "I've never claimed that I can prove my innocence. I would like to do that, hopefully if we can find this character, Stan, that might happen," Soering said. As far as the next step in the legal system, Soering's repatriation attorney filed a suit in January against Governor McDonnell claiming in simple terms that he did not have the authority to revoke former Governor Kaine's order to send him back to Germany. He'll be serving the Governor with that suit at the end of this month.